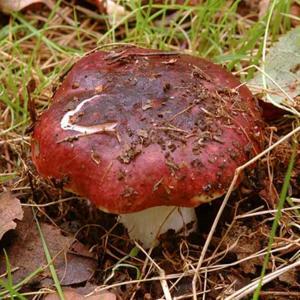 Fruiting bodies have caps with brownish-red tops, cream or straw-coloured gills and white or pinkish flesh. 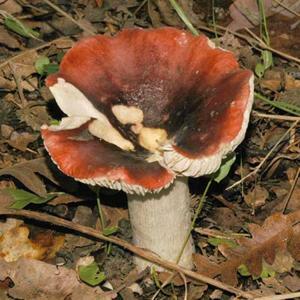 Stems are white and usually bulbous at the base. The skin is thin and fragile, often peeling to show the flesh underneath, and has a sticky surface. White spores. Grows in association with tree roots. Native to Europe, Asia and North America. 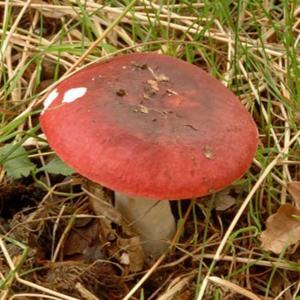 Common, usually found in woodlands, coniferous or broad-leaved. Toxic, causes nausea and vomitting.